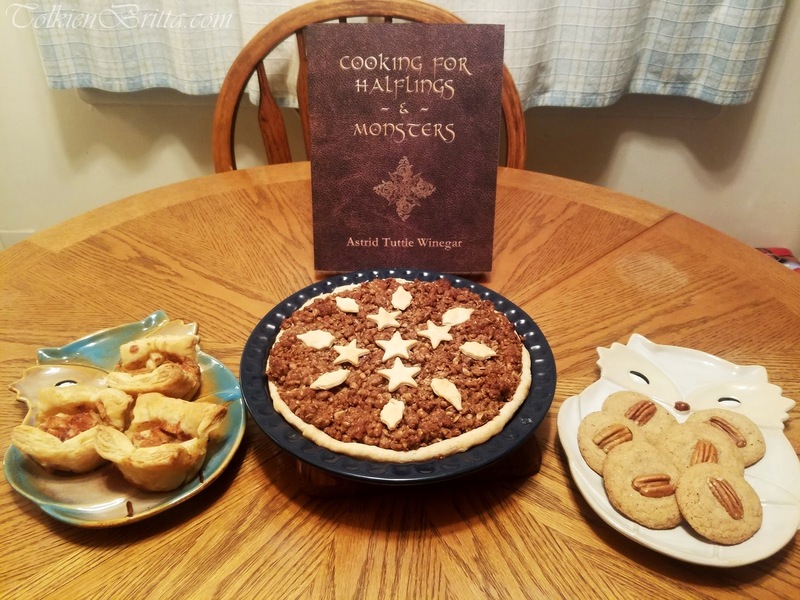 In Cooking for Halflings and Monsters: 111 Comfy, Cozy Recipes for Fantasy-Loving Souls, Tolkien scholar Astrid Tuttle Winegar has created 'eleventy-one' original recipes to inspire you. Lovingly illustrated and written with dry humor throughout, this charming cookbook is sure to delight you and your family, friends, and any other lucky halflings (or monsters) who show up in your kitchen. So crack open a beer, rustle up some "Gündürnüb's Grüb," and come along on this epic culinary journey. Your quest for delicious recipes is complete! While it took me a bit longer than I'd hoped to get started on this review, the timing actually turned out to be pretty good: I ended up baking at the end of Tolkien Week, on the annual celebration of Hobbit Day (aka Bilbo's and Frodo's birthday celebration), and also the official beginning of fall. Originally, my aim was to make a three-course meal using one of the suggestions found at the back of the book; but there were too many desserts to choose from! I enlisted the help of my mother, since she's a more experienced baker than I am (plus it was a fun mother-daughter experience) and we found three tasty desserts to make. We made all three at once in a span of about two hours. All three recipes called for pecans, which we had an over-abundance of, thanks to my aunt! The remaining ingredients were already in our kitchen. The best part about making these three desserts is that my house still smells of spices, creating a very cozy fall atmosphere. This was my first review of a cookbook, and it was so much fun baking these three recipes that I'll likely return to this book and make some other meals to review at a later date – so be sure to check back! But in the meantime, visit Amazon to get your own copy of Cooking With Halflings & Monsters so you can make your own delicious treats! The book is full of fun illustrations, dry humour, and lovely photos – whether you're a fan of cooking or a fan of fantasy, it's a must have either way! Read on to see photos and descriptions of the individual desserts! 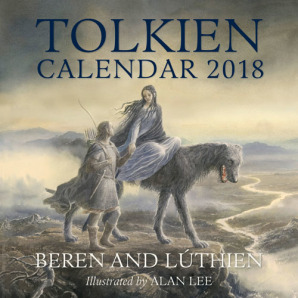 The 2018 Tolkien calendar has been published and features watercolours and pencil sketches (by Alan Lee) taken from the recently published Beren and Lúthien. The official Tolkien calendar, this year containing 12 of the finest watercolours by Alan Lee, selected from BEREN AND LÚTHIEN by J.R.R. Tolkien, and accompanied by numerous pencil sketches, many unique to this calendar. The Tolkien calendar has become an established publishing event, eagerly looked forward to by Tolkien fans the world over. This year's is more sumptuous than ever, and is not only illustrated by the acclaimed and Oscar-winning Tolkien artist, it has been designed by him, too, with the same care and attention to detail that has seen his work embraced by the Tolkien Estate, Peter Jackson and discerning fans around the world. 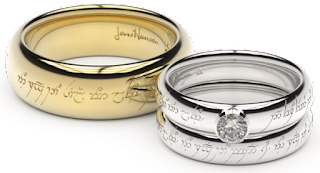 The content itself is particularly special, as it is inspired by a Tolkien work that is seeing print in its complete form for the very first time. To accompany each watercolour painting from BEREN AND LÚTHIEN, the newly published epic tale of adventure by J.R.R. Tolkien, every month features complementary pencil drawings selected by Alan and there are also brand new sketches produced exclusively for this calendar. Alan Lee has depicted famous scenes including Gollum and Bilbo, Rivendell and Smaug the Dragon in his celebrated illustrated editions of The Hobbit’ and The Lord of the Rings’, but with these brand new paintings and drawings he will take the reader deeper into the enchanting world of Middle-earth than ever before. The calendar is available for £9.99 through HarperCollins. Fans of The Lord of the Rings and Game of Thrones can enjoy for the first time ever a joining of the two series in concert this November. 'A Celebration of the Music from Game of Thrones, The Lord of the Rings, and The Hobbit Live in Concert with Symphony Orchestra and Choir' will make its one-time debut at the London Palladium on Sunday, November 12, 2017. Presented by Senbla and Silva Screen Live, it will celebrate the music of Middle-earth and the Seven Kingdoms. Ramin Djawadi is the composer behind the Game of Thrones soundtrack, while Howard Shore composed the scores for Peter Jackson's film adaptations of The Lord of the Rings and The Hobbit . Tickets (priced between £36.50 and £71.50) are now on general sale and can be purchased via Really Useful Theatre or Ticketmaster.